From the first time I saw The White White Lights to the most recent they have graduated from kids exploring the idea of stage presence to borderline rock stars. Alright, maybe that's a bit of an exageration but any other Austin blog-freak can attest to how quickly the White White Lights have developed they seem to churn out passionate tunes at the drop of a hat. 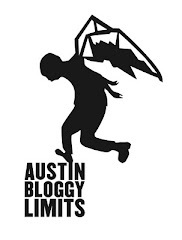 This year they don't have any official showcases for me to promote but I still wanted all of you out of towners who are reading this site for this week only to be aware of one of Austin's up-and-coming acts. Don't take my word for it, ask my brethren of the blog over at Ultra8201. It was a show they hosted where I was first introduced to the White White Lights. In fact the video you're about to digest is courtesy of the kind lads of Ultra8201, thanks y'all! These unofficial listings are courtesy of the blog-brigaders at Do512, ahoy! That's it folks, you only get two chances to see the White White Lights but remember the name because I'm sure this won't be the last time it crosses your path. Those of us who live here will see the gang again real soon though, jealous? You should be.